If you feel like your oven can use some specialist attention and care, we have just what you need, namely, a team of experts to provide you with a comprehensive, professional oven cleaning in London that lives up to the highest standards in the trade. We will quickly strip away all layers of grease and burnt-on food residue, using nothing but caustic-free, safe oven cleaning solutions as well as the best degreasers on the market. Don’t worry about the pricing – you will not break the bank by booking our services since we always charge reasonably. As you can see, the cleaning process is very detailed as we like to deliver spectacular results to all customers. All removable components of the oven, including hobs, racks, knobs, fans, trays and grill are placed in a heated tank with a safe degreaser so that the baked on grime and grease can loosen. The same applies to the door, if it is removable. 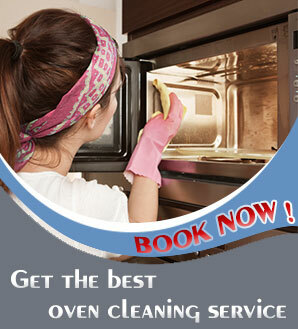 The interior and exterior of your appliance will also be cleaned and degreased in detail. The removable components will be rinsed before the technicians reassemble the appliance. You can use it immediately if you wish. The oven cleaning services we offer throughout London are available Monday through Sunday, so don’t hesitate to give us a call – our call centre representatives will be glad to assist you!